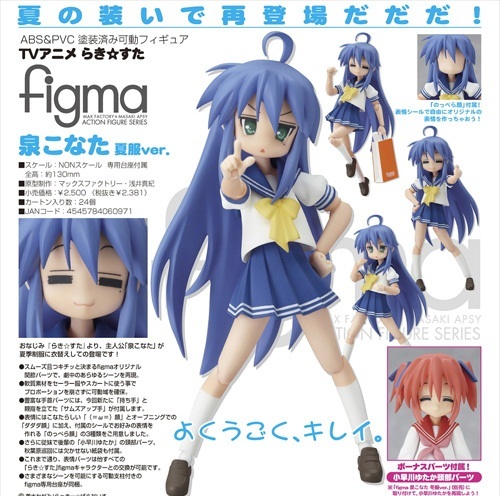 Following the upcoming release of Figma Konata Izumi [Summer School Uniform Ver.] this August, MaxFactory has announced preorder for Tsukasa in her summer seifuku! She is scheduled to be release in September 2009, and will be retailing for around 2,800 yen. Interested folks can place your preorder at Hobby Search. The package also comes with the head of Hiyori Tamura so that you can attached it to the previous release of Tsukasa. Very thoughful of MaxFactory so that our figma doesn’t goes to waste.